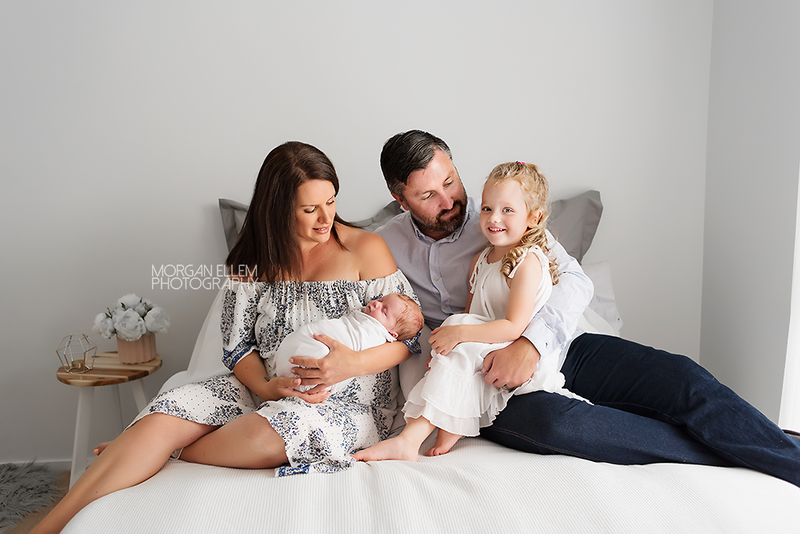 This newborn session has been a long time coming - poor Matteah has been through a rough first few weeks of life, with illness and infections sending her back for multiple stays in hospital. 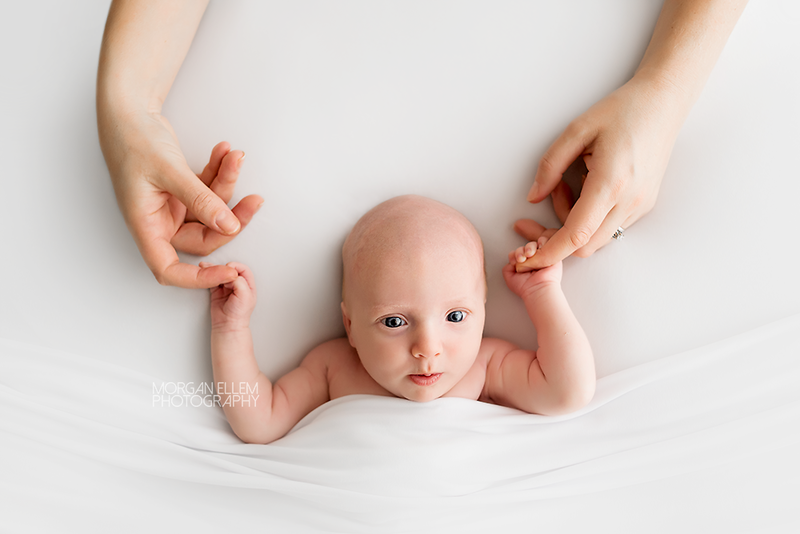 Finally on the mend now, it was such a pleasure to have the family in the studio for photos. 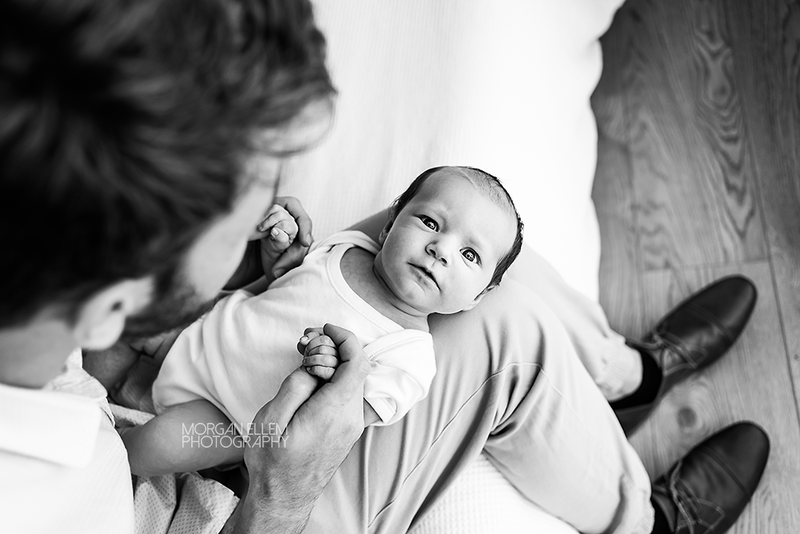 Even at 5 weeks of age, Matteah photographed beautifully and even slept through a lot of the session. 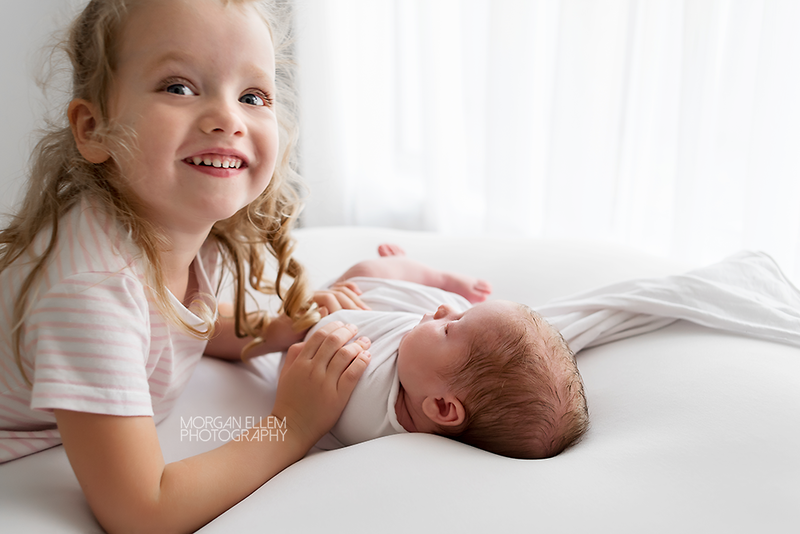 With two older brothers, I'm sure Matteah is going to be very well looked after as she grows older. 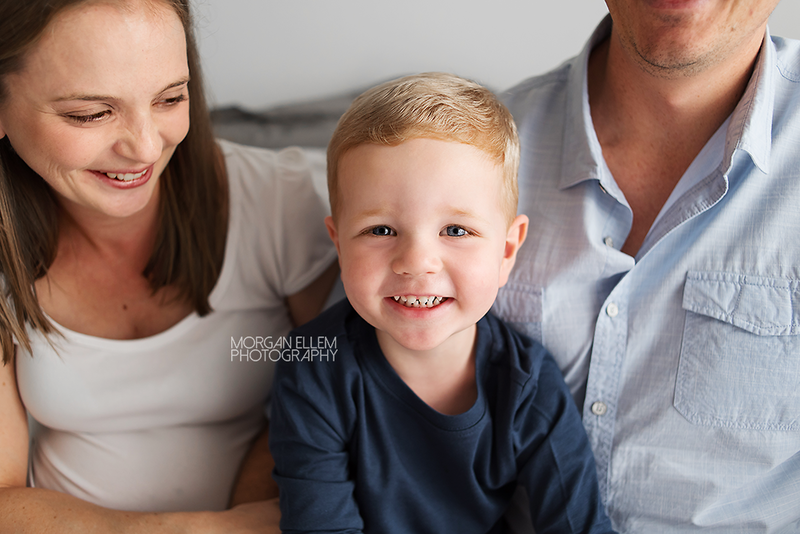 Although they weren't super keen to be involved in photos, we still managed plenty of smiles and captured this beautiful family perfectly at this stage of life. 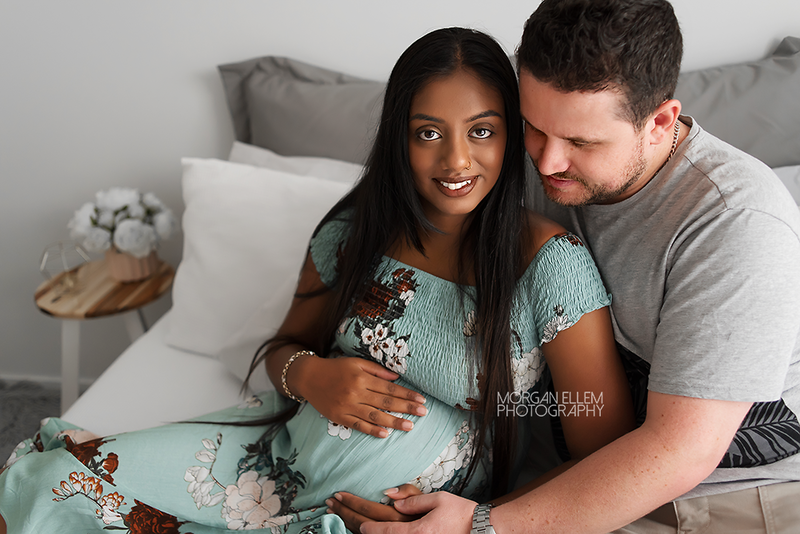 Another set of beautiful parents-to-be in the studio this morning, waiting in anticipation for the arrival of their first baby. 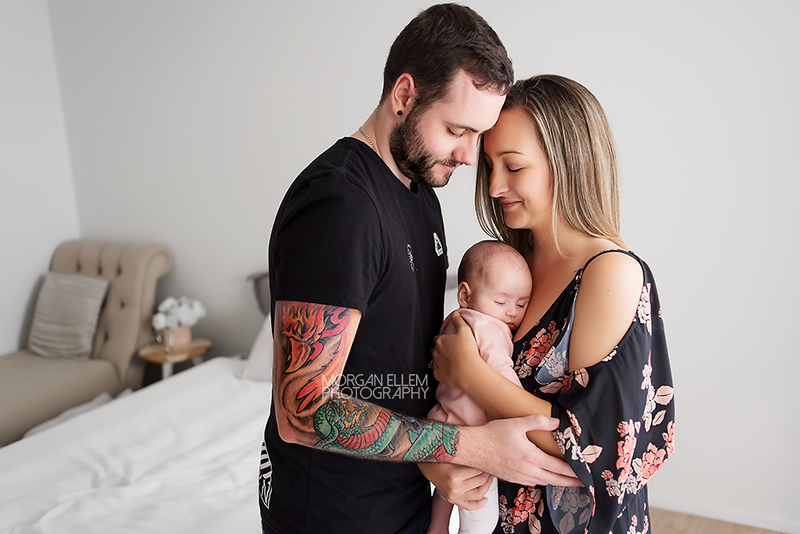 I have no doubt that Ash and Damien will make amazing parents! 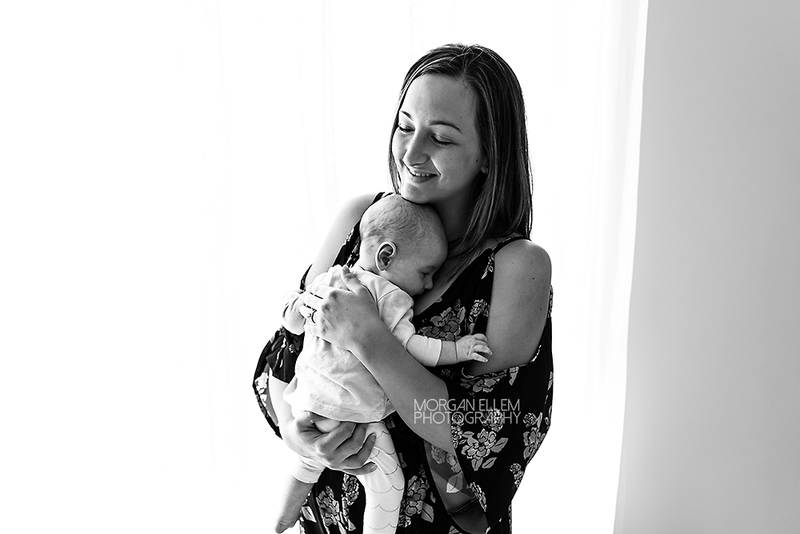 Their photo session was full of laughs and the images have turned out so perfectly. 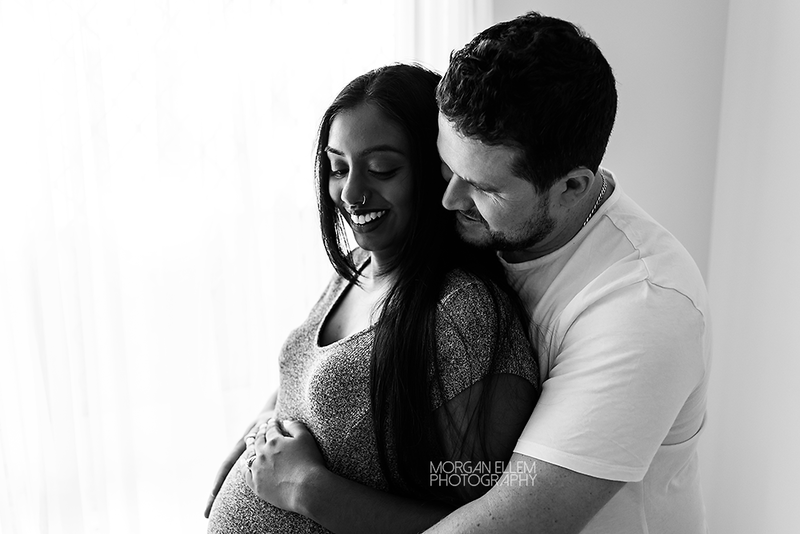 I can't wait to meet their little babe in a few weeks time! 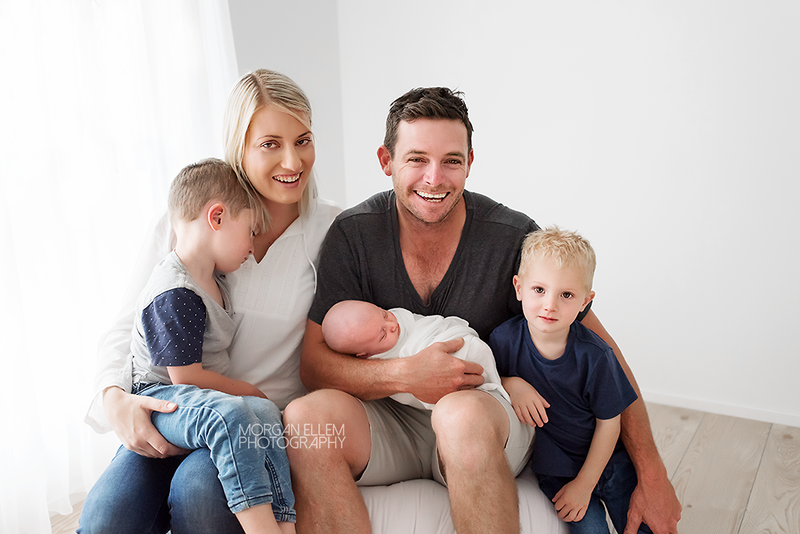 Today I had the absolute pleasure to photograph this brand new family. 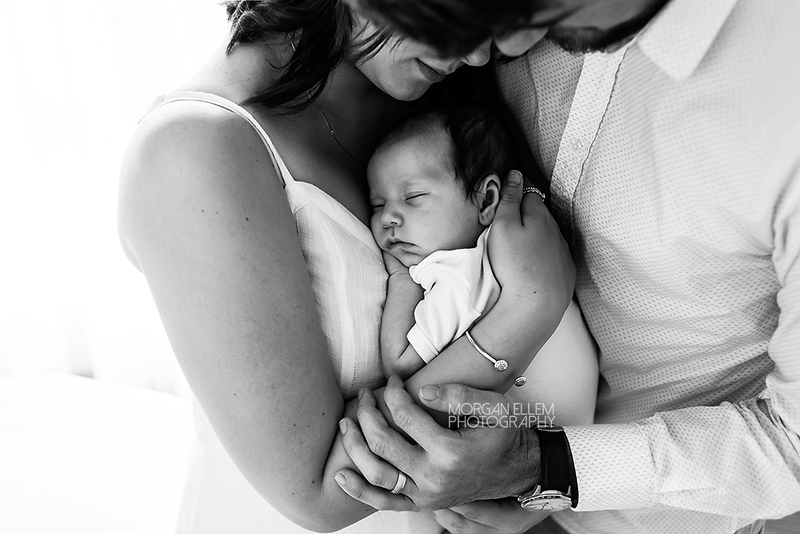 Baby Ivie is 7 weeks old, and parents Poppy and Alex are already the most natural and loving Mum and Dad. 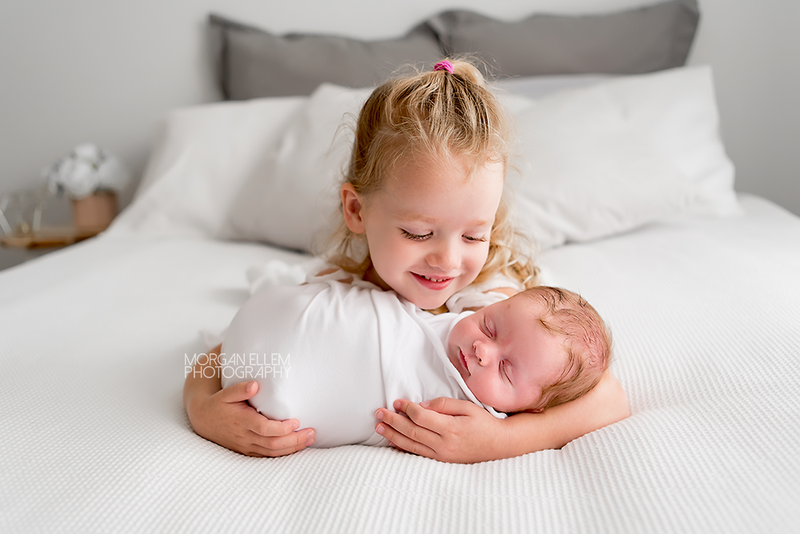 Ivie was an extra special wedding present for these two, being born only two weeks before they were married! 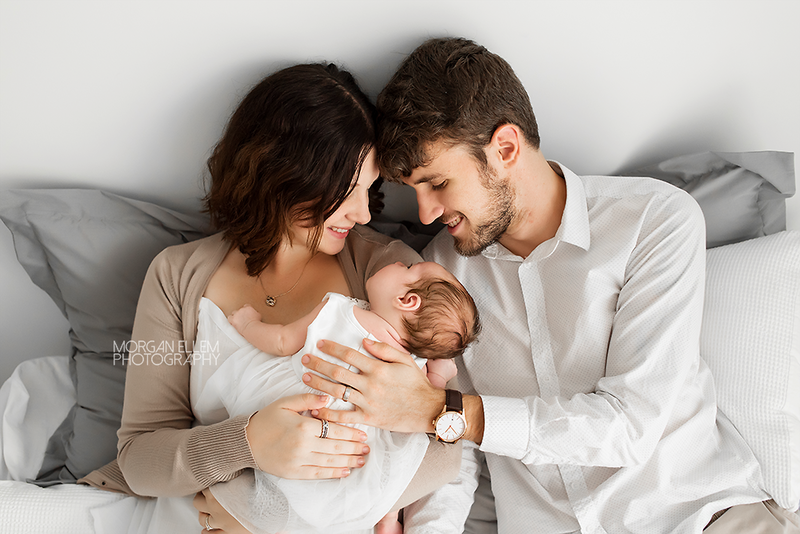 Together they make a beautiful little family, ready for lots of adventures ahead. 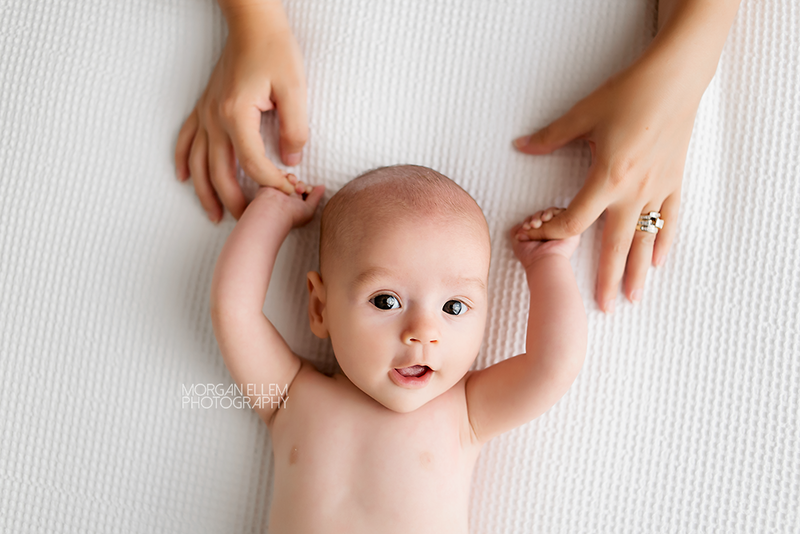 Although Ivie is a little older than when newborn photos are usually done, 7 weeks is such a great age where babies are more interactive and their gorgeous little smiles bring such joy to the session! 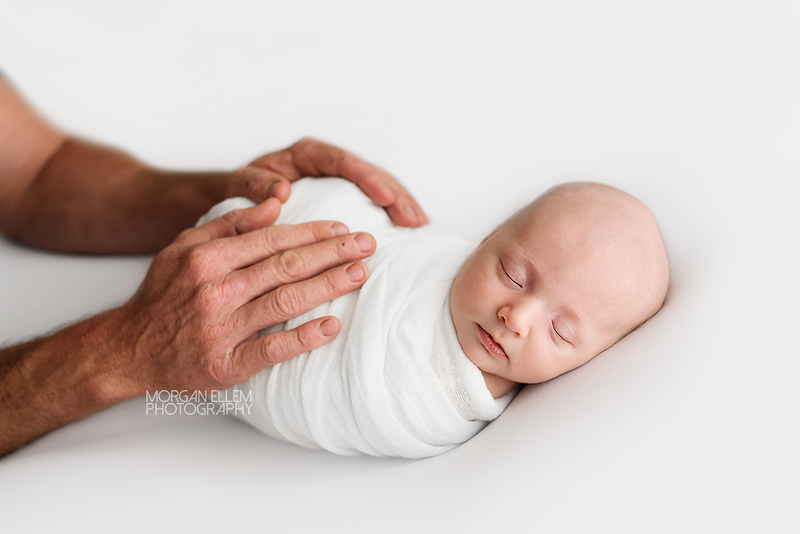 If for whatever reason you missed the "ideal" time for newborn photos, please don't despair thinking that you've missed the opportunity, because as you can see from the images below, the photos are just as magical. 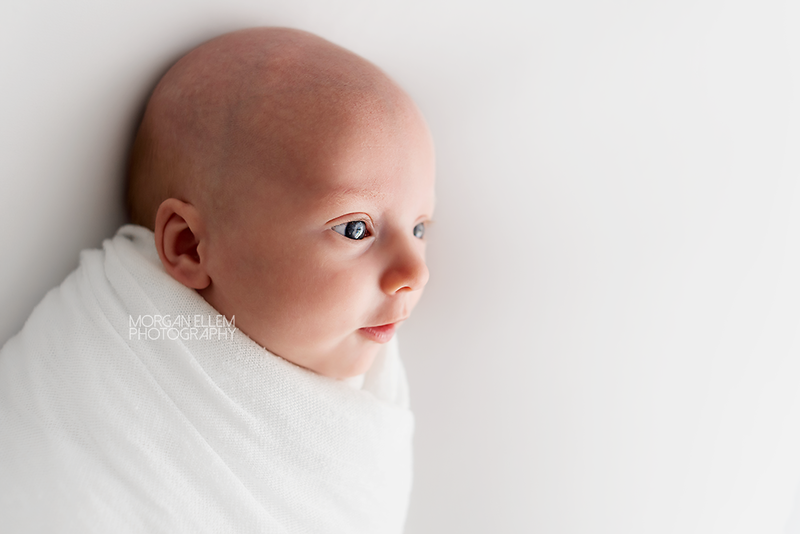 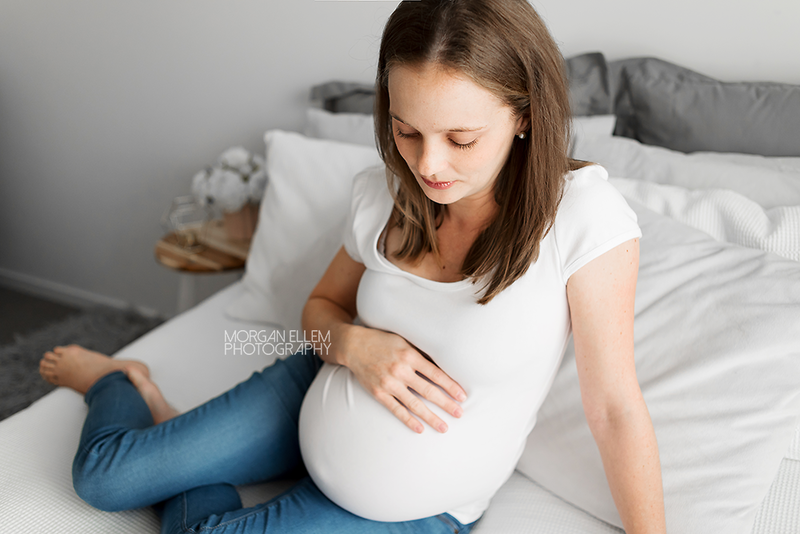 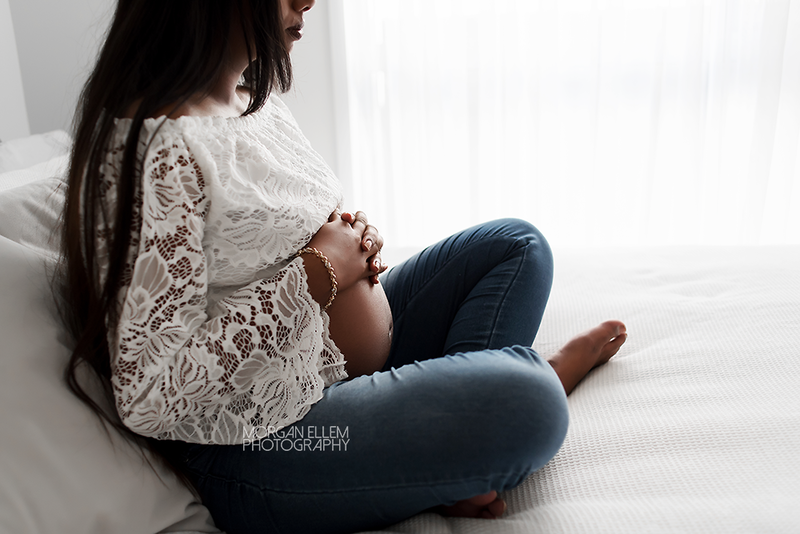 If you'd like any more information on my newborn/baby sessions, please contact me and I'll be in touch.